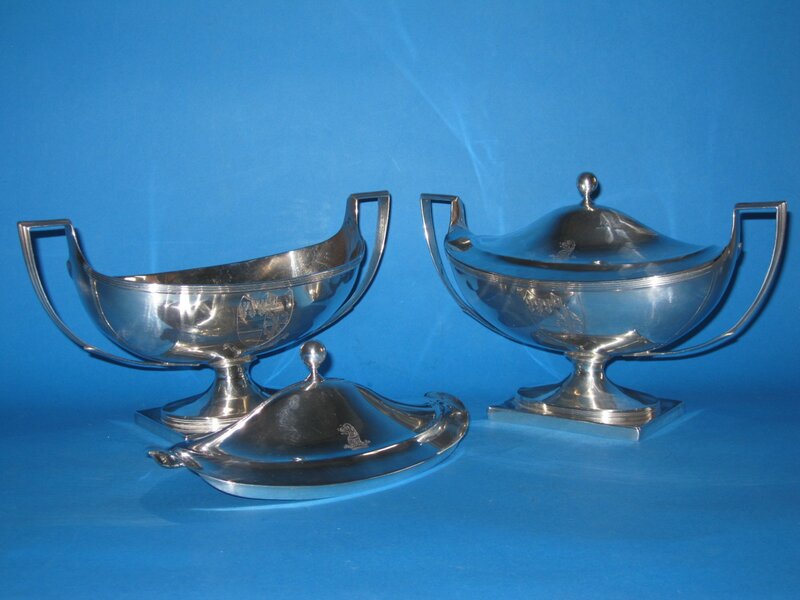 Each with reeded handles and an oval reeded foot on a square base. Crested to the cover and with engraved armorial to both sides of body. Virtus Vincit Invidiam-Virtue overcomes envy.